How do I set Matter-Level Permissions? 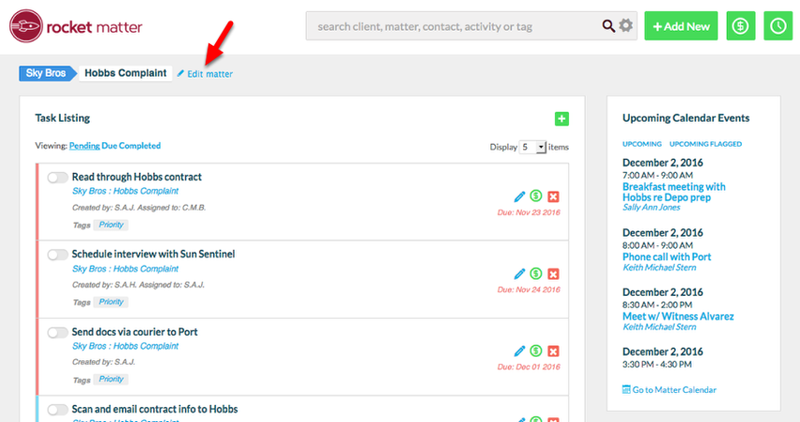 Rocket Matter Knowledge Base MattersHow to set matter-level permissions. 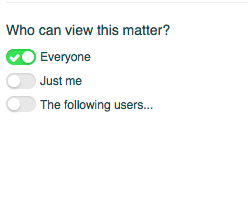 Matter-Level permissions can be set in Rocket Matter by specifying who can view a Matter. Zoom: 2. &nbsp;Click &quot;Edit matter&quot;. 3. Scroll down to view "Who can view the matter?" 4. Select from "Everyone", "Just me, "The following users". 4a. 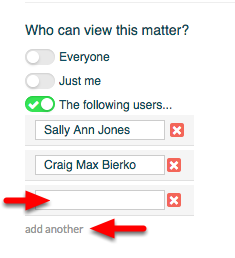 To allow specific users to access the matter, click "add another", and enter each user permitted in the open field. 5. Click "OK" to save your Matter Permissions. 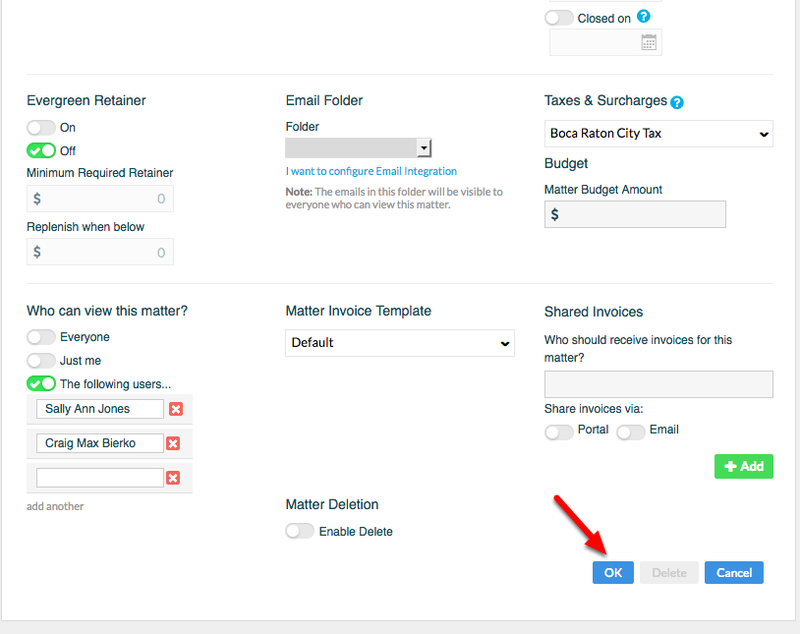 Tip: Contact our Support Team for help on assigning Matter Permissions for MANY matters. 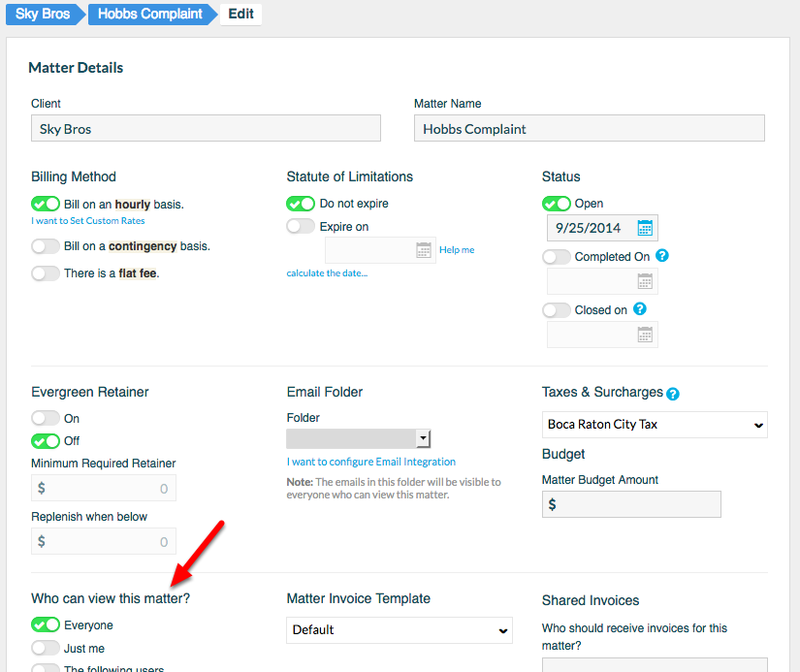 Prev: How to complete a matter. Next: How to change a matter name.